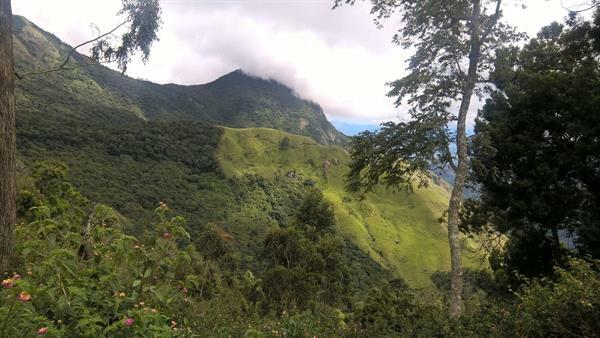 Munnar is known for attracting visitors for years. Its unbounded beauty and the climate is loved by the people all around the world. I wasn't any exception. It has pulled me towards it. So, the day came. When we made a trip to Kodaikanal, but for some circumstances couldn't go and diverted towards Munnar. It was a 5 day trip. So, our journey to Munnar began. We went through Udumalpet, then, Marayoor, and then Munnar. after reaching Munnar, we decided not to go to the places we have already gone during the Flower show. 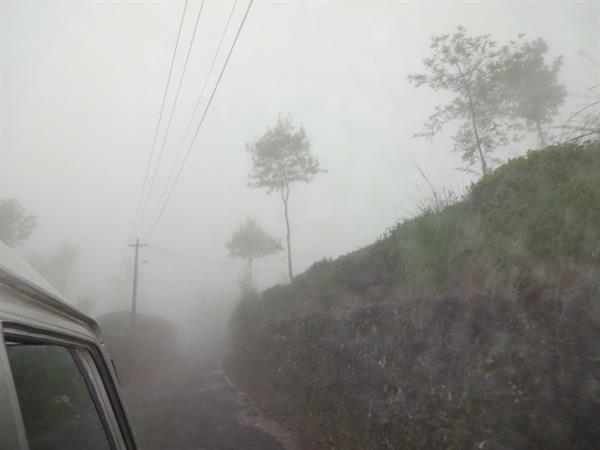 So, we checked out all the places to see in Munnar. Our driver gave a lot of information. First we decided to go to Tea Museum, which is a part of Tata Tea. It portrayed the growth of the tea estates and the role of technology in it. I went through each detail in the tea processing. I loved the recession part of it where they allow tasting tea of various flavours. Then, we headed towards Eravikulam National Park. Once, we reached the entrance we had to wait in a queue to buy a ticket and also for getting into the forest bus. It was a mini bus which came to pick us up. At least there were 15 other people were present with us in the bus. Our bus moved into the park. I was excited to see what comes up. Once, we reached the main area, the bus dropped us and went back. We were following our guide, who was giving information and the guidelines. We roamed around the park, expecting a sight of Nilgiri Tahr (for which this park was actually established). There after half an hour a Nilgiri Tahr spotted grazing the grass. Not in a 10 minutes, we saw other 5 Nilgiri Tahrs. We sat there to see those. After some time, our bus, came to pick us up back to the entrance. We reached entrance in around 15 to 20 minutes. We came back to our hotel Emmel Dwellings, to have our lunch and also to have some rest. In the evening, we decided to go to Mattupetty Dam to see the sunset. It was an enormous sight. We stayed there it was 9. Then, we moved to Munnar where we had our dinner in Saravana Bhavan then we headed to our hotel. The next day planned to move towards Pothamedu viewpoint. It just was 16 minutes away from our hotel. It is the perfect place because it is a view point from you can see all tea estates and mountains. My experience with Pothamedu was amazing. It was rainy season so, we could see clouds all over. The weather was chilly. My mom was hugging her shawl tight. Staying there and just staring at the view in front of us took 2 hours. From there we moved to Attukkad waterfalls. Before we could reach there, we heard the the water roaring. It was thrilling. When we witnessed the waterfalls, it pleased me. Gosh! It was a breath-taking sight. The white giant falls amidst the majestic mountain! The drizzle of the falls hit us, which sent chills down our spine. Our next destination was Cheeyapara Waterfalls. But, my younger sister started feeling unwell so, we headed towards our hotel. We had our lunch for which we were waiting for long as we all were hungry. My dad asked us to go somewhere else but we said no. My mom felt sick too, so, we stayed at our room. The 3rd day we planned to go Kolukkumalai. So, we started from our hotel. On way to kolukkumalai, we stopped at Lockhart gap. It was early morning so we got to see the beautiful view of sunrise. The whole sky was filled with reddish orange colour. Then below, you see the whole place covered with blanket of clouds. It was a stunning experience. My mom's and my sister's sickness flew away. We took lot of pictures. A place worth seeing it was. We had green tea there which we brought for my mom and sister. It was complementing the scene. Then, after finishing our tea we headed forward and reached Power House waterfalls. Our driver told this falls have medicinal qualities and a good massage to the body. So, we jumped into the falls (except my mom). It was so cold. We were shivering but we also enjoyed the bathe. 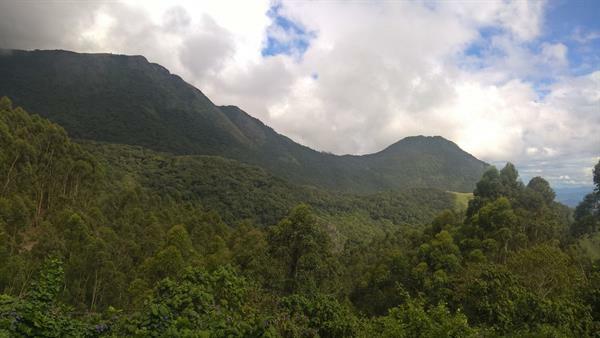 We then headed towards Kolukkumalai Tea Estate (it is the highest tea estate in the world). When we reached the place the fragrance of tea hit our nostrils. We went to old tea factory. We were offered a cup of refreshing tea perfect for the climate and much needed after the bathe. We changed our clothes here. Then we headed to Anayirankal Dam which was 10 kms left from the road back to Munnar. So we drove through Chinnakanal to reach Anayirankal dam. The dam was all surrounded by Tea plantation. It was a mesmerizing view. The dam was so calm and silent. You can just hear the sound of water flowing and the birds flapping their wings (of course). From here, we moved back to Munnar. The 4th day- according to our plan, we headed to Top-station for our trekking. So, we started early, so that we can stop at Echo point and Kundala Dam before we reach the Top station. Firstly, we stopped at Echo point. We got down and heard people's voices and screams. We rushed to the place. We saw there were few people already. We also started screaming and enjoying the whole scenario. After that we reached the Kundala Dam when our driver told it was also known as Sethuparvathi Dam. It was arch-shaped. It was an amazing view from the dam. The dam was surrounded by tea estates. We then moved to boating. We took a Shikara. Moving through the lake was a divine experience. We felt peaceful and great. After the boating we moved again upwards to Top station. 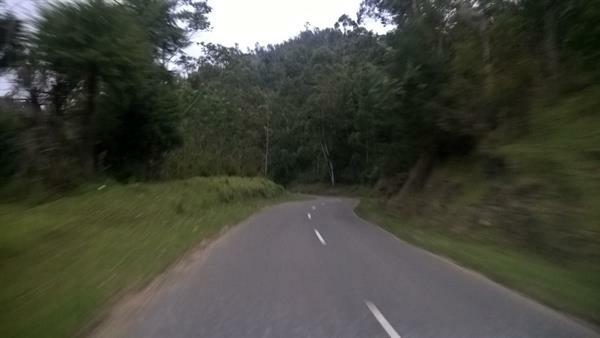 We moved through Yellapatti tea estates and we reached Top Station. We were pleased to reach this place. It was an astounding experience. From top station, we could see the panoramic view of Western Ghats and the valley of Theni district of Tamil Nadu. The clouds can be touched from here. We felt the clouds hitting our face. This is the place where Neelakurinji flowers blossom once in 12 years. Our guide was waiting for us. He led us to Pambadum Shola National Park. It was a deep forest we went into. Through the thick trees we reached the check post where we had to get permission for entering into the National Park. It took around 10-15 minutes. Once we were allowed, we walked through the trees with the chirping sound of birds all around, screams of Langurs and a strong smell of eucalyptus trees filling the air, with a tinge of fear of wild animals. We saw many little water streams alongside the trek road. There were numerous varieties of wild flowers which looked very beautiful, but we were warned about touching any of plants as it may be dangerous. We went towards a small village called Vattavada. We talked to the villagers. Then after having our lunch there, we started walking back towards the entrance of the park. The whole trekking took us for three and a half hours. When we returned back, it was 4.30 pm. Then we started back down to Munnar and reached our hotel. The 5th day- the next day we headed back to Coimbatore. We stopped by Marayoor. We had our lunch (it was 3 pm already). Our driver told us that there is a place to visit. So, we headed forward on a one-way road. There were apple and orange plantations on both sides of the way. We had travelled 15 kms to reach a village called Kanthallur. We walked to a place, where we saw dolmens, which were getting destroyed. Our driver called them 'Muniyara'. He told that these Dolmens were used by ancient people for burial purposes. They were each made of four stones placed on edges and covered by a fifth one called the cap stone. These were only some of the remnants of those dolmens. We took pictures of those. Then, we talked to the locals about the place. Then we again started going when we stopped at a place near Chinnar wildlife Sanctuary, where we saw a group of elephants in the forest (it was getting dark so couldn't see how many were there). We could almost feel our heartbeats. We heard their voices. We stayed their until they disappeared into the jungle. Then, our journey back home continued. Wow! 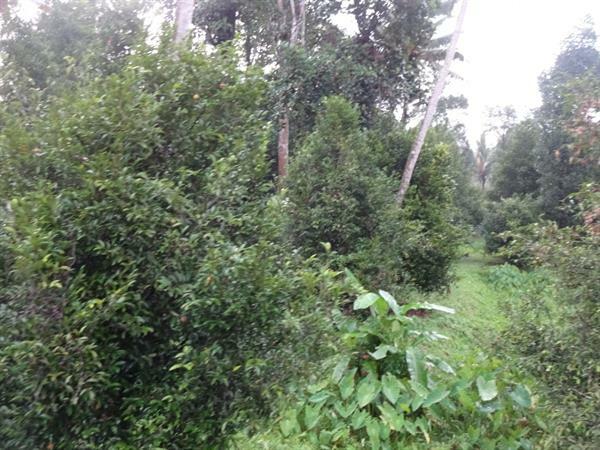 this include a lot of information related to Munnar!